Razer has launched its new Cynosa Chroma keyboards aimed at the entry level gaming market. 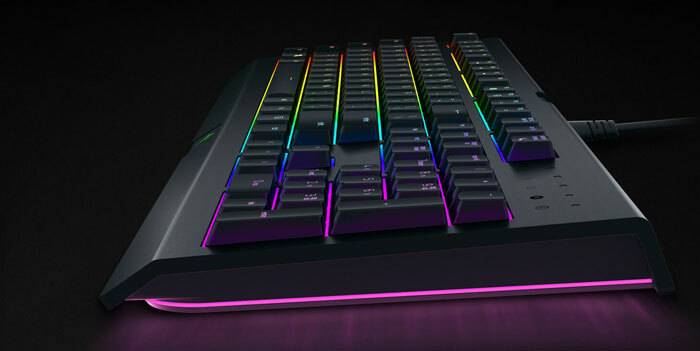 There are two Razer Cynosa Chroma keyboards in this initial salvo; the regular Razer Cynosa Chroma and the Razer Cynosa Chroma Pro which is enhanced by the addition of ‘underglow’ RGB LED lighting. Underglow “provides an added dimension of visual feedback and game integration,” reckons Razer, and it charges an extra US $20 / EU €20 for the ‘Pro’ feature, above the US $59.99 / EU €69.99 base price. Razer co-founder and CEO, Min-Liang Tan, says that the With the Razer Cynosa and Cynosa Pro keyboards are “the most full-featured entry-level keyboard for gamers today”. He refers to the Razer Chroma technology as crucial for “creating the most immersive gaming experience possible”. Razer and its Synapse 3 (Beta) software provides integrated lighting profiles that change dynamically during gameplay in the likes of Overwatch, Quake Champions, Diablo and other popular games. The Razer Cynosa Chroma is available now on Razerzone.com for US $59.99 / EU €69.99 and will be distributed in stores worldwide from Q4 2017. The Razer Cynosa Chroma Pro is a Razerzone.com exclusive at US $79.99 / EU €89.99. 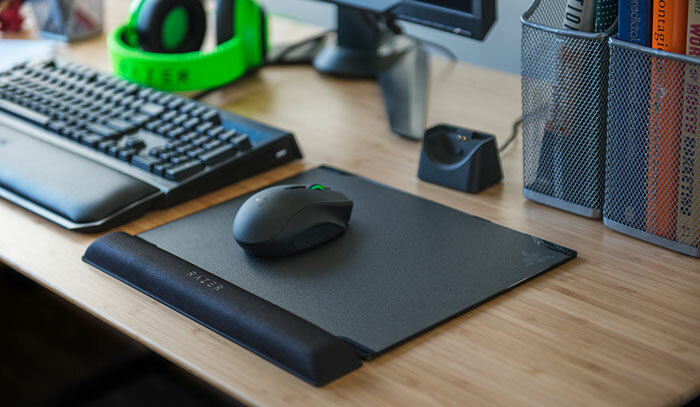 In other recent Razer news, the Razer Vespula V2 dual-surface mouse mat was launched. Users can choose to mouse upon its dense cloth surface for more precise control or a micro-textured finish for a smoother glide. It is larger than its predecessor and features a memory foam wrist rest. The Razer Vespula V2 is priced at US $39.99 / EU € 49.99 and you can grab it from Razerzone.com now, ahead of worldwide retail availability from Q1 2018. So, 80 bucks for a membrane keyboard…Just get a mechanical one at that point. I actually prefer non-mechanical keys, so this interests me.